The Internet is a giant community. To many it will seem like a huge repository of information on websites or the largest shopping centre in the universe, but at its heart it remains a community, one whose citizens are drawn from all over the globe. Those citizens can not only take information, but also give it and exchange opinions and ideas on everything from news to obscure technical data. It’s one large community that’s built of from millions of tiny ones – just like a country, in fact. 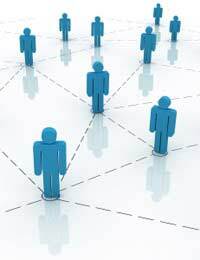 Forums and news groups are the main areas where people come together on the Internet. There are forums for virtually everything – and if there isn’t one for your specialised interest, start one and people will come. Forums run on what are called threads. Someone brings up a topic and posts on it to the forum. It could be an opinion or a question, but others will add to that thread, offering humour, opinions, answers, or more questions. It’s much the same as a conversation, but takes longer – although it can get quite heated sometimes, which used to be known as “flaming,” although the term is hardly used these days. On a number of news websites, for newspapers and radio stations such as the BBC, new stories can act as mini-forums, inviting comments by readers, some insightful, others outrageous. Blogs are their own community, part of the Internet, but offering opinions, and in many cases they’re closed, which mean others can’t leave comments online. Why Should You Join Forums? Everyone has special areas of interest in life they share with others. They might be quite mainstream or remarkably obscure. On the Internet you will inevitably find people from all over the world who share them. Contributing to a forum is a great way to share those passions, be it in a forum or new group format – in many ways they amount to the same thing, and achieve the same end. Being part of a forum means you feel part of a community, it gives you a chance to talk to others who share your interests, exchange ideas (and maybe even items through the post) and even build up friendships. This is something that’s ideally suited for the Internet. You can contribute as an when you want, with no pressure to be on every single day. You can often find forums as links to websites that deal with your interests. If you’re a news junkie, as many are, you’ll only need to register with the site in order to be able to leave comments. Internet forums of all sorts are very welcoming, although you might want to “lurk” initially (observe without posting comments) in order to get a feel for them, much as you’d listen to a conversation before joining in. There are plenty of parenting forums on the Internet, which can be an excellent resource for ideas of things to do with the kids during holidays, as well as all manner of parenting tips (you’ll probably be able to offer a few of your own). To use Internet forums is to become involved – and these days, when we sit behind screens for so much of our lives, that’s not a bad thing at all. Even in a time when social media gets all the news, with everything about Facebook and Twitter, forums are still important, connecting smaller groups around specific topics. They'll often have chat rooms, or a link to a chat room on IRC that you can use. For very detailed, specific information on different things, they still remain the best resource on the Internet, and one of its unsung pluses.